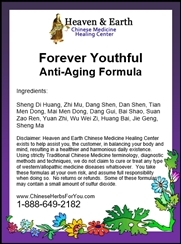 Heaven & Earth CMHC Forever Youthful Anti-Aging Formula is a powerful combination of Chinese Herbs that specifically addresses issues related to all aging pattern processes. 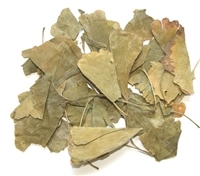 Using very well known Chinese Herbs such as Dang Gui & Shu Di Huang, this scientifically advanced formulation has been specially created to assist with numerous Daily Disharmonies associated with both men and women. In general, depletion of fluids and vital energy starts at age 40. This is usually referred to as the beginning of menopausal-type changes for both men and women. The immense benefits of taking such a powerful Chinese Herbal Formulation prior to this age timeline cannot be measured. 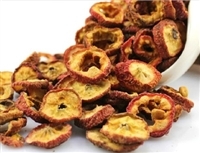 Chinese Herbs have been assisting and treating aging-type patterns successfully for many years by enhancing and nourishing your Blood, Yin, Yang & Chi [and including the essential digestive processes]. Our Forever Youthful Anti-Aging Formula helps to cool and disperse Rising Fire from a Yin Deficiency Pattern directly related to the aging and the pre-mature aging processes. It is a known fact that when an individual turns 40 years of age, their Kidney Yin has been severely depleted. This is by virtue of the natural aging process. 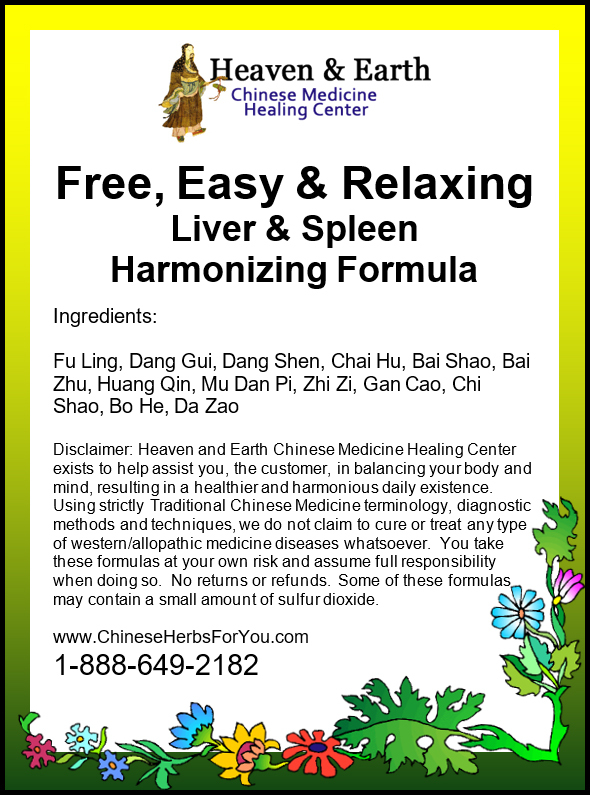 Our Forever Youthful Anti-Aging Formula additionally helps to anchor the Excess Of Yang [overheating, irritability, hot flashes…] and tonifies your Liver & Kidney Yin as well as regulating your Blood, Liver Organ System and hormonal levels. I bought this product because I am in menopause and it works on a lot of these phenomena. There is great progress in my sleep, I actually fall asleep within 15 min, instead of the hours it can take otherwise. This took 3 to 4 days before I had this significant improvement. My joints also feel much better with the cold weather, big difference. As soon as I began taking Forever Youthful formula, I had the most restful nights sleep I had in a long time. Over the next weeks I began to feel more clarity and more awake during the daytime. My night sweats were greatly reduced. I felt happier as opposed to the up and down mood swings I experienced on a regular basis. This formula has become a regular part of my daily health routine.